Nothing says Easter like School Bus figure eight racing at DeSoto Speedway in Flur-da. You got your drag strip during the day and races on the track at night. 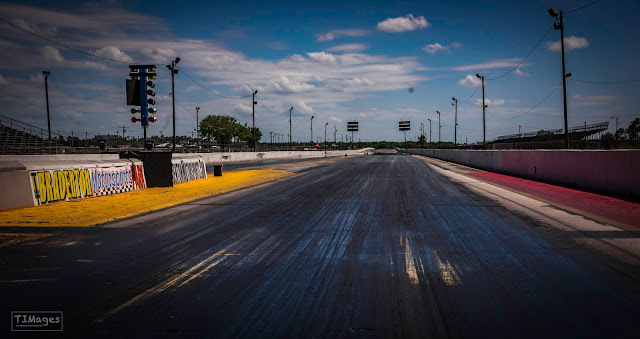 Whether you are at the drags or the figure eight track, Lynyrd Skynyrd is constantly blaring from the speakers at bleachers full of mullets, beer guts. cut-off denim shirts, plumber butts, rebel flag tattoos and both hands gripping 40's like the bucket of them under them cowboy boots is the last stash on earth. And that's the women. They all looked pretty powerful to me - and probably packin' too. Their guys were really skinny with greasy hair and bad complexions, like the shirtless ones with red hair on Cops who disturb the peace in the tailer park and smoke menthols and get all up in the officers' face until they are shoved into the back seat of the squad car - "em ah bee-'n detay-unned?" "Yezzur; that be affirmative rah-chur." You don't have to talk like that to live here, but it helps. Last year the winner of the warmup race before the school bus grand finale thanked his mom and dad for letting him stay up late, and his teacher for not giving them homework over Easter break. He thanked the Lord and Dominos Pizza, for no particular reason other than he hoped that Jesus would hear about it and make a meat lovers show up at his house like "that thing he did with the fish sticks." Best winner circle speech ever. My first thought was, "What has Tim been drinking?" and then I realized that this must all be true because Tim doesn't drink. School bus racing? I need to see that!